Drill, baby drill was the mantra of Sarah Palin and her ilk at the Republican convention in 2008, and they were referring specifically to ANWR, (Alaska National Wildlife Refuge). That idea has been rejected, and will continue to be rejected by people in general and by conservationists and environmentalists in particular. ANWR, as the name suggests, is a refuge for the wildlife which includes plants and animals. There are no roads, no buildings or settlements in the protected area, what it does have is a vast oil reserve which the oil companies would love to lay their drills on. Since it was declared a protected area in 1960 by the Eisenhower administration, lobbyists have tried to get the government to relax the tight restrictions that govern the area, to no avail. In Belize, our ANWR is our Barrier Reef, which includes the second longest reef in the world, and is also populated by hundreds of pristine cayes and a very wide variety of fish and plants that are second to none in the world, and one of the largest means of subsistence in Belize. That any government would ever allow anybody to even explore the possibility of drilling offshore would not only be unconscionable, but a betrayal of our trust and a surrender of our national heritage. I look at tourism and I see all the positive impact it has had on the economy of Belize, and boy, do we need economic stimulus. I also see the dark side of tourism, which has made us greedy, selling out our childrens' inheritance so that in 20 years foreigners will own more of our country than we do, if they don't already. I site San Pedro as an example of this, with Placencia coming in a close second. WE have never had good governance in this area, so it has been a free for all, and naive people have been taken advantage of. We now need good governance in finding ways to deal with our new found wealth without destroying that which makes Belize one of natures' last treasure on this ever shrinking planet. Belize is screwed up!!! 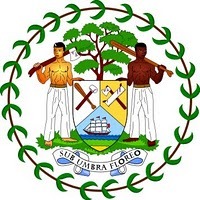 Neither of these political parties has the interest of Belize at heart. Belizeans from all walks of life, especially the young generation need to ban together to change this country. No to offshore drilling, I agree!!! Pele, no one can write a COMMENTARY like you. I completely and strongly agree, no drilling offshore Belize. This is frightening to imagine. There is one party in Belize which has as a major part of its stated policy for natural resources that it will not support drilling for oil offshore OR in protected areas. That is the People's National Party, headed by Wil Maheia. They have declared candidates in Stann Creek West (Placencia) - Basillio Mes, and in Belize Rural South (Ambergris Caye, Caye Caulker etc) - Mike Campbell. Hey Linda, many compliments on your blog; it is very interesting, informative and in tune with everything. Pele, terrifc job I must say...and Absolutely no drilling in our protected areas. Whenever the subject comes up again we the Belizean people will be at the forefront to stop this preposterous and absurd idea. I'd want to see a revenue stream that compensates for the revenue that we would have to forgo when we refrain from drilling. I find the band wagon on offshore drilling a bit trite because as I see it a spill on shore will wreak as huge a havoc on our cayes. I won't go into the coral bleaching disaster that is taking place RIGHT now from e.g. industrial waste. SO for me its not drill baby drill!! it sounds more like Governance baby Governance. where we all pull up our boot straps and smell the roses. educate each other and hold each other accountable.Then we move this upwards to community and then country. It would be great to have no drilling near or in the vicinity of our reef. This whole issue is very complicated. The NGO's of Belize don't make it any easier for Belizeans to understand the true story behind drilling. NGO's like APAMCO, COLA, SATIM and TIDE, exist only to enriched themselves. Can anyone tell us who is enjoying the fruits from these NGO's.....not a single soul, but their leaders. The people that are for oil drilling say that this industry will bring much needed investments to Belize, but when there is a spill not only will the reef be destroyed, but all of coastal Belize. Belize should wait for the technology to get better....20 years from now. A few decades ago I was a student in St Peter Claver School and recalled that the population of then British Honduras was a bit over 100,000. Today that population has tripled in my lifetime so far. This has implications in the economic,environmental, social and other relevant areas for the young nation not to mention political and rightfully so. From an economic standpoint we must consider our the resources available to feed a growing population and that's just part of planning, therefore I am not so sure we must have sacred cows, when there's more of an obligation to have a healthy population rather than risk the rise in poverty. Some two and a half decades ago, I observed the introduction of environmental talking points in Belize somewhat as the over-arching religious mantra by foreign non-profit agencies with their own agendas for us the natives. As soon as we were sold on the newfound religion of environmentalism through the skillful use of our locals with a few dollars thrown here and there for good measure, the architects mobilized locals and foreigners alike into activism, which by the way is a useful tool. I would consider this operation very successful as we look at how the religion and its gospel has grown roots in Belize. There's another angle to this and which is why open and honest discourse should be in the public arena in any major economic act on large scale such as oil drilling, logging or any other relevant activity that is bound to have some environmental impact on us. However,we must be careful not to " throw out the baby with the bathwater. " Let us remember we have other important concerns like high unemployment in Belize among other issues that we should be equally concerned about problems such as the high crimes especially in homicides, that we seem unable to come up with any solutions to curb, curtail or reverse this stigma. I would encourage fellow Belizeans to join in meaningful discourse and not just highlight all the ills about exploiting some of our own resources for our use but also look at the benefits. Remember we do not live in a " utopia " and accidents do happen. Tourism, whether its eco or not has been exploited in Belize, therefore why not oil exploration. After all we have learned to enhance tourism by putting in meaningful safeguards to ensure some measure of continuity. Is it perfect, absolutely not, but many Belizeans benefit from it. As an anecdote, several shrill echoes were voiced about the impending environmental disaster to traditional lands etc, when a decision was made to upgrade the Southern Hwy to asphalt. The opposition was vigorous as I recall being from and having lived in the Toledo District. Today all and sundry enjoy a more comfortable ride on this highway including many who vehemently opposed it. I say for some level of economic security, lets drill in a responsible manner. I hope can read this article and can begin to understand the destruction off-shore drilling will do to our reef and our planet. We need more Belizeans and more people around the world to fight for our planet. Do you guys know that Guatemala, Mexico, and Honduras drill offshore? Even if we do not drill we will be affected by an oil spill in these countries. I say drill if it will benefit Belizeans and all the safeguards are in place. Think about it if Mexico didn't drill offshore, we wouldnt have oil.